In stock -This product will ship today if ordered within the next 4 hours and 16 minutes. lavera Mineral Compact Powder in a flattering matt honey shade with yellow base tones helps to minimise shine. The fine silky smooth organic face powder is ideal for fixing your make-up giving a little colour and a light coverage of light reflecting minerals for a radiant complexion. Simmondsia Chinensis (Jojoba) Seed Oil*, Magnesium Stearate, Silica, Tricaprylin, Argania Spinosa Kernel Oil*, Vegetable Oil (Olus Oil), Butyrospermum Parkii (Shea Butter)*, Theobroma Cacao (Cocoa) Seed Butter*, Cocos Nucifera (Coconut) Oil*, Hippophae Rhamnoides Fruit Extract*, Olea Europaea (Olive) Fruit Oil*, Glycyrrhiza Glabra (Liquorice) Root Extract*, Rosa Centifolia Flower Extract*, Malva Sylvestris (Mallow) Flower Extract*, Tilia Cordata Flower Extract*, Hydrogenated Lecithin, Camelina Sativa Seed Oil, Tocopherol, Helianthus Annuus (Sunflower) Seed Oil, Ascorbyl Palmitate, Alcohol*, Water (Aqua), Fragrance (Parfum)**, Limonene**, Geraniol**, Linalool**, Citronellol**, Citral**, Benzyl Benzoate**, [+/- Mica (CI 77019), Titanium Dioxide (CI 77891), Iron Oxide (CI 77491), Iron Oxide (CI 77492), Iron Oxide (CI 77499)]. Swirl a powder brush around the compact powder, tap the brush to remove excess powder and apply to your face. Below are reviews of lavera Mineral Compact Powder - Honey 03 - 7g by bodykind customers. If you have tried this product we'd love to hear what you think so please leave a review. Good powder and coverage. 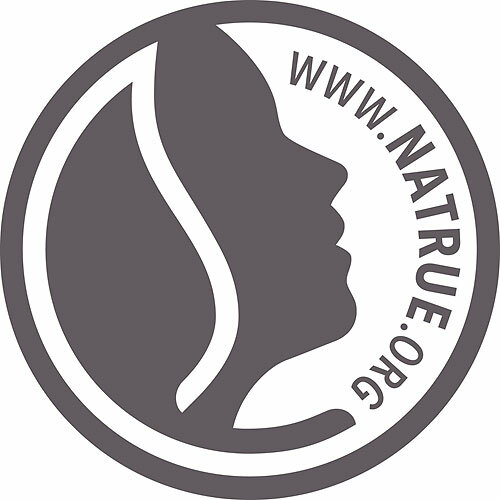 Lovely vegan make up brand! lavera Mineral Compact Powder in a flattering matt honey shade with yellow base tones helps to minimise shine. 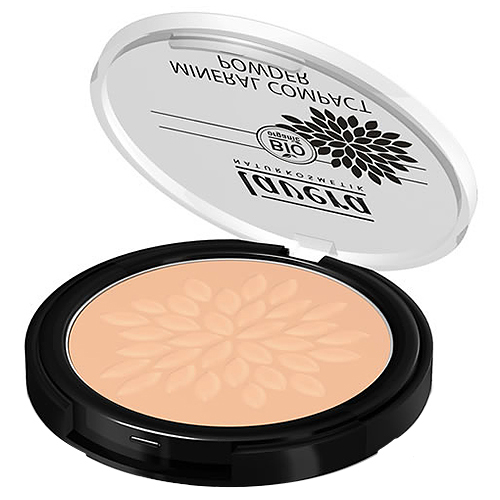 The fine silky smooth organic face powder is ideal for fixing your make-up.